In 2015, the year DC Mayor Muriel Bowser announced Vision Zero, DC had 73.3 miles of bike lanes. According to the city's government data website, DC currently has 84.2 miles of bike lanes. But do all 84.2 miles really exist on the ground? At the DC Council Vision Zero Roundtable on September 27, Co-chair Councilmember Charles Allen pointed out that crosswalks and bike lanes are disappearing before his eyes. Unlike the vanishing bike lane, Riet didn’t disappear — he was dedicated to making sure the bike lane came back. He spent hours sifting through old satellite images to find a snapshot of the bike lane that once was. It was only after he sent DDOT an image from the Terraserver showing the bike lane there that it was repainted. This process took more than three months. “If not for being tenacious about this, DDOT would likely have allowed this bike lane to disappear for good,” Riet said. Where else are there disappearing bike lanes? 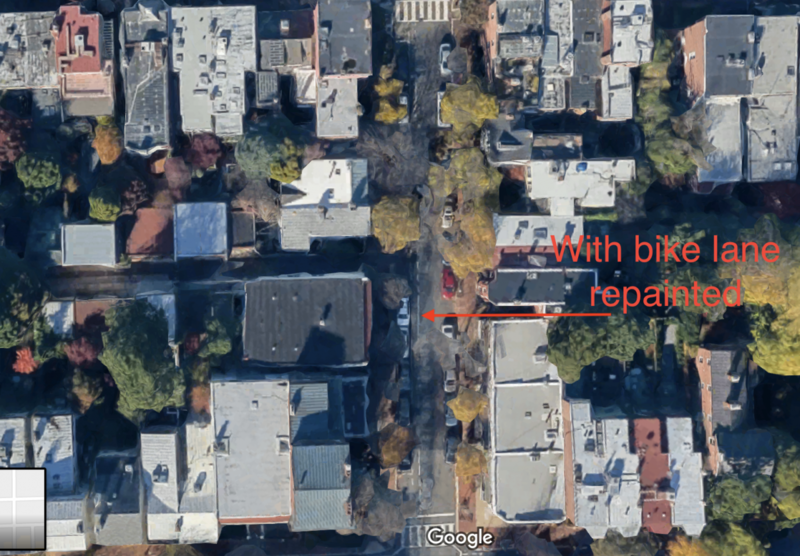 Now Riet and I are calling on cyclists from around the region to help us compile a list of missing bike lanes to submit to DC Council for the official hearing record. We’ll be collecting feedback through October 10. The record closes on October 11. 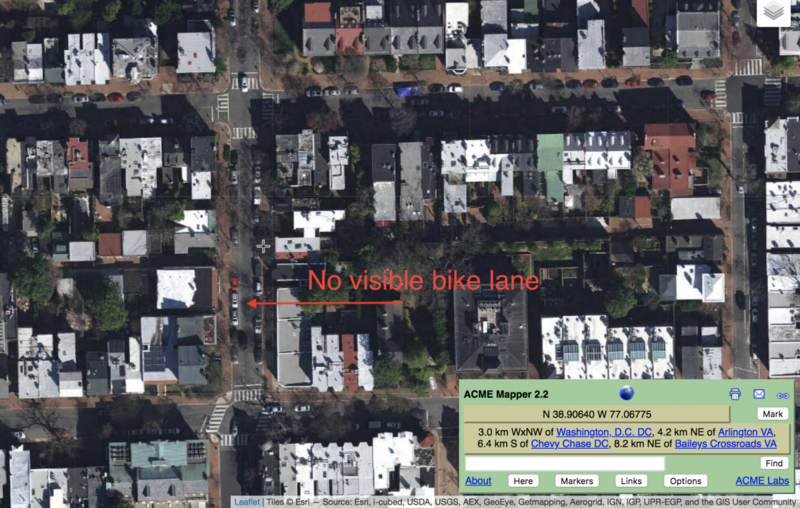 Use this form to tell us about a missing bike lane that you've seen. Let’s hold our government accountable for maintaining the infrastructure we already have before more bike lanes turn to dust.